PENTHOUSE!!! IMAGINE STUNNING SUNSETS EVERY EVENING FROM EVERY ROOM!!! 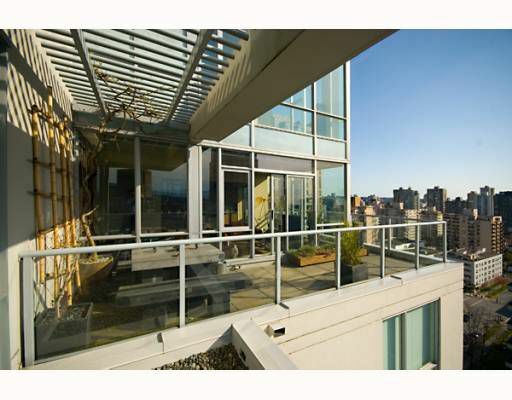 This 2 Level Southwest Corner PENTHOUSE on the 22nd and 23rd Floors is unlike any other, Featuring 9.5 ft Floor to Ceiling Windows offering Expansive Views of English Bay, the City and the North Shore Mountains. FEATURES: Full Wrap Around Deck, 2 Large Balconies, Wide Open Custom Kitchen with Swiss Cabinetry, S/S Appliances, Custom Built Ramp Sink, Slate Tiling and Solid Brazilian Cherry Floors, Heated Slate Tiles in Master Bath w/ Onyx Sink, Waterfall Faucet and Spa Quality Shower with Dual Shower Head by Grohe, Verona Marble Sink in Guest Bath and Custom Closet Organizers. Approximately $100K in Custom Renovations. 2 PARKING AND 1 LOCKER Included.